Integrity in Leadership - How I Compromised Mine. “I see the logic in that,” I ventured. 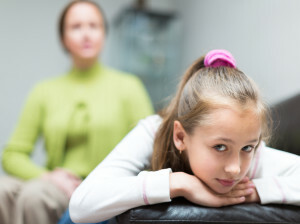 “We also know something about what the child can expect when the mom says she will do something.” She looked at me expectantly, like the answer was obvious. “That she probably won’t do it?” I asked weakly. “Of course. She just taught the child that, one, when she says something, she doesn’t mean it. And, two, the child can expect no consequences if she does something the mother told her not to do.” She leaned back in her chair triumphantly, toasting me with her mug. My wife had reminded me of some valuable leadership training as we sat sipping our coffee. When any of us say we’re going to do something, and then don’t follow through and do it, we’re not only lying about what we intend, we’re training others to expect more of the same. How often do we make that mistake as leaders? We say we’re going to do something, either as a threat, or even as a routine commitment. And then we fail to follow through. We’ve not only compromised our integrity, but have shown others they shouldn’t expect our word to matter. We’re training our followers to ignore us. That’s a place no leader should want to go. As leaders, we must be careful not to commit to something, even in passing, if we might not be able to deliver. And if we do say we’ll do something, well, we’d better do it! Integrity in leadership starts with our words; we need to say what we mean, and mean what we say. Need Help for Habits that Compromise Leadership Integrity? Check out the Leaders Journal. Posted by Martin Ramsay in Leadership Pitfalls. Well stated! Words do matter even when they don’t mean what they say. That causes us to fumble around seeking agreement—so we color the word janitor and try to call it custodian, or facilities manager. When it came to gender, Bob Hope had difficulty to color penmanship to something more politically correct. Intents and definitions don’t always gee haw! But, a leader can better be judged by his/her actions.